As artists, we should draw from all of the above-mentioned types. In particular, focusing on drawing from nature and your own imagination. Each of these ways has its own pros and cons, which should be kept in mind and not be narrowed down to choosing one. In the first post I wrote about drawing from photos and ended with the announcement of sharing the cons of this method. Simplifying, there is just one. Speaking of which, drawing from pictures does not give us the benefits of drawing from nature, and these are the benefits invaluable in learning. Hand-to-eye – and brain training. This is much more effective in this method than in drawing from photos. This is because we change the image from three-dimensional to two-dimensional. Drawing from someone else’s drawing or from a photo we are not able to work this out, because all work in this aspect has already been done for us. By drawing from nature, you have the basics of drawing right in front of you – perspective and solids, the play of light and shadow, creating compositions, choosing a frame. All this amazingly develops our ability to perceive and creativity. For example, the observation of people in their natural poses – pay attention to the fact that people look completely different when posing for photos, and completely different in “natural environment”. Exercise of capturing moments. The eye of the illustrator should be like a camera shutter – you can’t learn that drawing from photos. They do not change at all. Unfortunately, the use of photographs makes artists lazy. You can use it, having in mind the advantages that I mentioned in the previous post. However, this should not be your primary source. Breaking objects into individual elements. It is a great exercise for creativity. For example, you can see a single, interesting pattern (let’s say birch bark) and use it in your next image as a background element. This is a great way to boost your imagination. 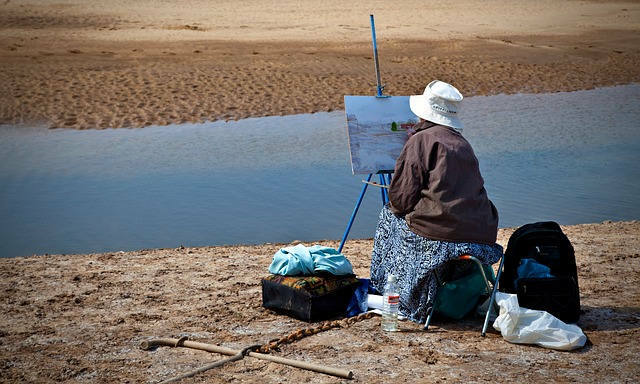 Encouraging – by drawing in the open air, but also from surroundings of yours. We leave our comfort zone that way. Our drawing becomes faster, more fluent, intuitive and much more natural. It incredibly works to overcome shame and start drawing in a public place. However, if you draw people, it is worth being discreet. I recommend sunglasses, looking over someone (good peripheral vision is useful) or choosing a very busy person (eg with her/his smartphone). You can ask for permission, but then people start to behave unnaturally and fun is over. You can post online quick sketches of silhouettes that do not capture similarities. The stimulation of creativity – we need to search for the right frame, if we do not use our own photos, we do not have that option. Often, we can also see and draw a given object at different angles, which extends our database on this subject. Filtering everything we see through our own cognitive abilities and our sensitivity. You can have a different approach/vision than a photographer who would take a photo of the same place that you draw. creating from your surroundings – carrying a sketchbook – drawing your mug, a hand that does not draw, accessories that lie on your desk, a friend next to you – let this be the first step, the first approach to making the sketch as natural as possible. drawing still life – boxes, compositions from everyday objects and draperies. There is nothing like an old good still life to learn the basics of perspective, proportion, framing and building compositions. 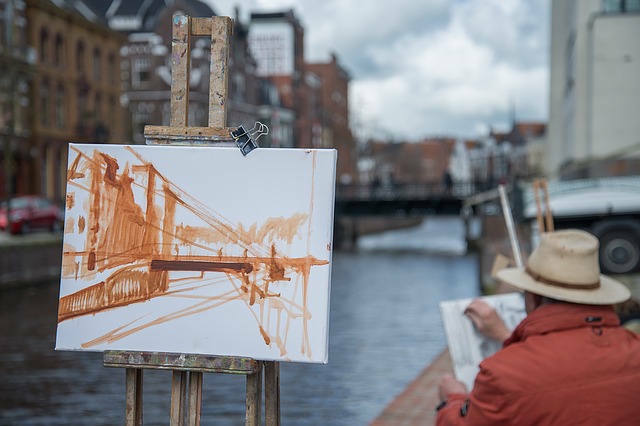 drawing in the outdoors – architecture, landscape and drawing people. measuring with a pencil – let’s check for example how many street lamps there are in the wall of the building, eg 2.5, etc. Let us remember to keep the proportions if objects in our drawing are larger, does not matter. The proportions should remain the same, even though the larger street lamp should still be 2.5 times in the building wall. checking the angles of pencil inclination – put a pencil in the air to the edge of the object and do the same in our sketch – is the angle correct? building a composition (choosing a frame) – I wrote a lot about it in one of the previous posts. Drawing from nature – it is worth to practice quick sketches to observe your progress. After some time, it will be easier for us to capture the changing light or passing characters. Similar to the challenges associated with drawing on time (1 h, 10 minutes and a minute, and similar variations). By the way, by sketching in this way, the principle of creating from the general to the detail is very well absorbed, because first, to capture a scene, we start with the basic solids. In summary, drawing from nature is something that is really worth incorporating into your artistic development. Let me know if you’ve already tried sketching in a comment. Do you set your first steps? Or maybe you are already a master in this topic? And if you have not started yet, what’s stopping you? Be sure to share your thoughts with me.